The Recreation and Park Department's mission is to rejuvenate the human spirit by providing safe and pristine parks, quality programs and employees that demonstrate our commitment to customer satisfaction. Wednesday evening, along with a thousand other citizens of San Francisco – yes, a thousand – I attended a hearing at City Hall on Rec & Park’s draft dog policy. Like most of the other people in the audience, I would love to see a genuine policy adopted, in place of the anarchy that now prevails. But I suspect the proposed policy is only going to make matters worse. 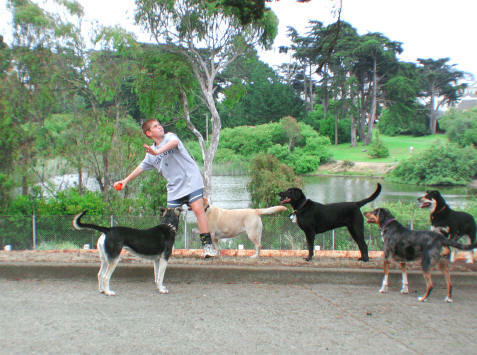 The members of one organization – the San Francisco Dog Owners Group (www.sfdog.org) – have spent months developing one that they believe will work more democratically and economically than the one proposed by Rec & Park. Sound familiar? Remember what happened to the Continuum of Care when it collided with the “wisdom” of City Hall concerning homelessness? Rec & Park seems to have attended the same school. The department’s mission statement, epigraphed above, would be laughable if it wasn’t so sad. Look at the never-never land it conjures up. A group of photographs just below give a clue. There are six photos, depicting a golfer, an aquatic exercise group, a tennis match, a basketball game, an outdoor theater performance, and Washington Square Park, deserted except for one lone adult pushing a baby stroller. Where are the old people? The kids running and tumbling on the grass? The lovers? The dogs? Banished, apparently, in favor of organized, controllable activities that won’t disturb the parks’ “pristine” state. Kinda sets your mind a-wondering, doesn’t it? Precisely speaking, the pristine state of Golden Gate Park was mile after mile of sand dunes. Or if it’s merely super-cleanliness that Rec & Park is after, what on earth are they going to do with that dirty stuff the grass and flowers are rooted in? To say nothing of those creepy earthworms that churn up the soil and those messy birds that perch in the trees. Unless they’re planning eventually to rip out all the unpredictable flora and their accompanying fauna and pave over everything – save, of course, the “Significant Natural Resource Areas,” which unruly humans won’t be allowed to enter anyway. But that hasn’t happened yet. Assuming that human spirits visit the parks in their present unpristine state, seeking rejuvenation, most of them – more than 120,000 of them – are likely to bring canine spirits with them, also seeking rejuvenation. Under the new dog policy that the Rec & Park Commission unanimously approved Wednesday night, they may all emerge feeling older instead. This beautiful, unspoiled place, where animals and birds abound, inspires respect and reverence for nature. There is a sense of arrival as you enter the park and see the striking city views from the hilltop. The parking lot has been removed, and trams and buses provide easy access. Neighbors value the Corona Heights Park/Randall Museum complex as a friendly, lively community center. There are many choices of things to do here for all ages and for large and small groups. The Randall Museum offers well-publicized, multi-lingual classes and programs in environmental education, technology, skills building, horticulture, drama, arts, and crafts. The museum also sponsors a science festival, recycling fair, and animal exhibits, and hires local teenagers for summer job programs. The buildings have been renovated and are fresh and up-to-date; bathrooms are clean, safe, and have good lighting. The park provides a variety of facilities and spaces: playgrounds, basketball courts, rock-climbing areas, a children’s zoo and farm, dog-walking areas, a demonstration garden, a pond, an aviary, picnic areas, trails, and places for quiet reflection. Neighbors volunteer at the park; senior and youth groups work together to maintain the pond, and school children help take care of the farm animals. The Corona Heights Park/Randall Museum complex is a model of a sustainable, environmentally friendly, beautiful community-oriented place in the city. But imagine that you own a dog. You have just come home from work and would like to give your pooch a chance to run around a bit. To get to this transit-friendly park, a car is of no use; yet MUNI has firm rules against dogs riding during rush hour. So the two of you trudge … and trudge … and trudge to get there. What do you find when you arrive? 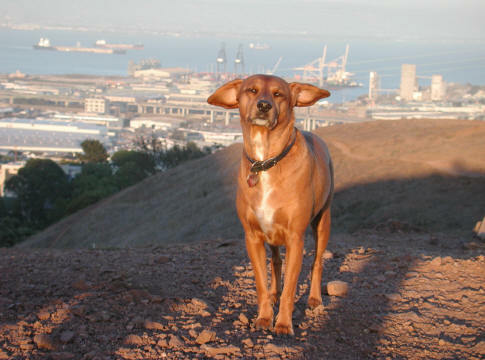 At 16.6 acres, Corona Heights is barely above the dividing line between small and large parks and might be able to squeeze in the minimum of 30,000 square feet (approximately the size of 4.1 tennis courts) for its off-leash dog area. But probably not. In addition to all the projected facilities, this park contains a Significant Natural Resource Area, so that most likely it will be treated like a “small” park of less than 10 acres. If that’s the case, your dog gets to run and play, along with all his canine pals, in an area of 10,000 square feet (a little larger than one tennis court), surfaced perhaps with grass, more likely with sand, gravel, decomposed granite, or synthetic turf. And if you were considering a friendly game of catch with your daughter while your dog romped, forget about it. The area will be fenced off from the rest of the park, perhaps with a four-foot fence camouflaged by shrubs and vines. Corona Heights Park doesn’t sound quite so idyllic now, does it? What happened to “customer satisfaction”? Whatever that means. Does the phrase imply that tax-payers should get their money’s worth out of their city’s services. And if you don’t? Can you complain to the robots – the phrase “employees that demonstrate our commitment” suggests that these employees aren’t human – staffing the department? Is there a method of getting your money back? Isn’t the customer always right? The new dog policy is part of Rec & Park’s new strategic plan, providing “strategic direction and specific guidance for enhancing parks and facilities and recreation programs in anticipation of and response to the changing needs of San Francisco residents and visitors into the 21st Century.” In case no one has noticed, San Francisco’s needs have already changed because an increasing percentage of its residents are either canine or canine-related. The strategic plan is a strange and wonderful product of “staff forums” and “strategy teams,” using “idea walls” and “vision vignettes” to create “technological tools” and “marketing plans.” Its solution to the increase in the city’s dog population seems to be an increase in regimentation, rather than in education. In a democracy, recognition that the human population has become more diverse elicits calls for training in citizenship for the newcomers and in tolerance for the natives. 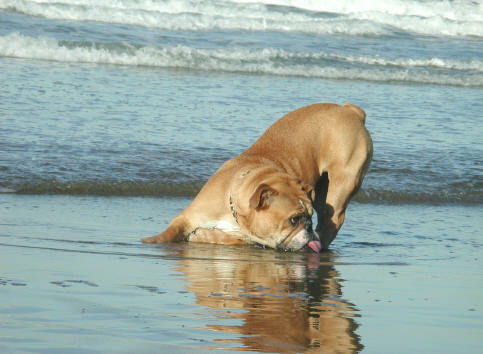 Why not try a similar approach to the burgeoning canine “community” in our midst. It might be a better investment than dog runs. Or shall we go the tried-and-true route and drive out the unwelcome elements? First, the dogs. Then perhaps the old people. The kids running and tumbling on the grass. The lovers. Me. You.